And thus the beat continues. 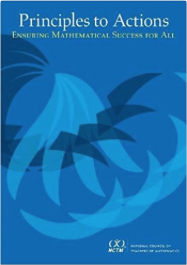 I recently got a copy of NCTM's Taking Action: Implementing Effective Mathematics Teaching Practices for Grades 6-8 hoping to see how the guiding principle of "technology as a tool" would be highlighted especially in this grade band where using technology can be so effective. But alas there was almost no mention of technology until the last chapter (which has the same name as the title of the book). There they indicated that technology should be used appropriately. Even in the video vignettes there were no computers involved only graphing calculators mostly sitting on tables and not used by the students. 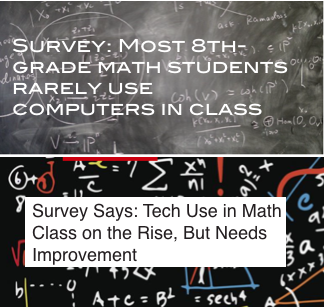 Clearly the focus of Taking Action (6-8) is about effective mathematics teaching practices without computers. 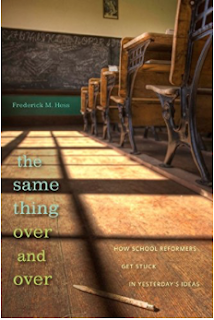 I can see value for using this book with teachers involved in lesson study or at the university level. I don't think very many teachers will use it as a guide for teaching because it's too much like a textbook for teachers learning how to teach math. Anyone agree or disagree with me? Let's have a "conversation" at #climetech. 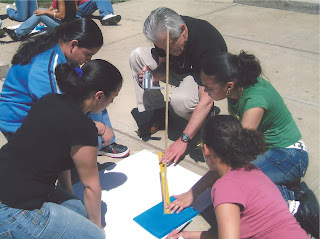 I've been amiss in not sharing earlier the passing of two wonderful educators (here and here) both of whom were influential in my thinking about teaching math (Don) and using technology (Sharon) to empower my students. In the 1970's both Sharon and Don worked with Plato an early prototype of a computer-assisted instruction system that ran educational software. Don shared an example of software that was a part of the Madison Math curriculum with me at a conference in 1977. Sharon worked earlier on the Plato system to develop a fractions curriculum (including Darts and Green Globs - 2 of my all time favorites) which are still available today. Don went on to work with students (ages 3 to 73) for 38 years teaching them a variety of math topics including Calculus for 4th graders. My condolences to both their families. "Education research is about to pick up its clock speed. When people talk about the “gold standard” of research, the name SRI International often comes up. Now they will have to add Digital Promise to that list. Nonprofit Digital Promise said today that two of education’s leading researchers, Dr. Barbara Means and Dr. Jeremy Roschelle, who had co-directed the Center for Technology in Learning at SRI, are joining Digital Promise. Means and Roschelle plan to create a new research center at Digital Promise that will help scientists look for ways to better tie research to practice in the classroom." So begins the article (title of this post) about two outstanding researchers in the area of technology and education. 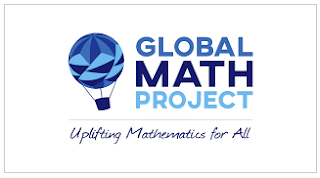 Jeremy has been a long time friend of CLIME and his research in technology and math have forwarded CLIME's thinking in how technology can be used effectively in the math classroom. Their new plans at Digital Promise sound exciting and we at CLIME look forward to following their progress. Here's the link to the article noted in the title. Also a link to some of their their planned work at Digital Promise. I attended the ALC (Affiliates Leadership Conference) last week in Baltimore where the theme was “Intent to Impact: Addressing Access, Equity, and Advocacy in your Affiliate” (1). One of the goals of the conference was for each affiliate to come up with a game plan to forward the action on this theme in their affiliate group. CLIME had already considered what to do about contributing to NCTM's advocacy positions (2) on this topic. CLIME will collect stories about how districts are making sure that ALL their students have access to computer devices and appropriate resources to ensure powerful learning. This will hopefully contribute to inspiring districts to pursue the vision of liberation (see figure 1) in the way they structure their school environments and curriculum. 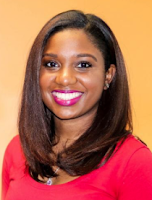 Our first story is about Kerease Epps "Using Math To Multiply Access For All Students" a blogpost on the LEE (Leadership for Educational Equality) website. Chicago native Kerease Epps (TFA Detroit ’13) knew growing up that the system she was a part of as a Chicago Public Schools student wasn’t one that gave all students a fair chance. Now as a recruitment manager for an education nonprofit dedicated to closing the achievement gap in mathematics, she’s working to ensure that students get the support they need to succeed. For more stories about math, technology and minorities see link. 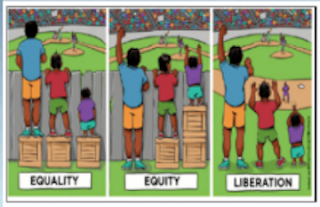 (2) Access, Equity and Empowerment: Advance knowledge about, and infuse in every aspect of mathematics education a culture of equity where each and every person has access to and is empowered by the opportunities mathematics affords. Advocacy: Engage in public and political advocacy to focus policymakers and decision makers on improving learning and teaching mathematics. 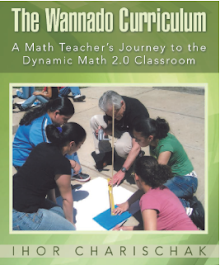 Curriculum, Instruction, and Assessment: Provide guidance and resources for developing and implementing mathematics curriculum, instruction and assessment that are coherent, focused well articulated and consistent with research in the field, and focused on increasing student learning. Professional development: Provide professional development to all stakeholders to help ensure each and every student receives the highest quality mathematics education. Research: Ensure that sound research in integrated into all activities of the Council. 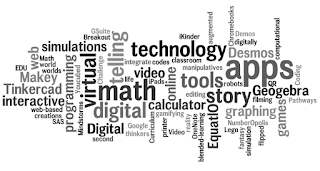 Technology: Promote strategic use of technology to advance mathematical reasoning, sense making, problem solving and communication. 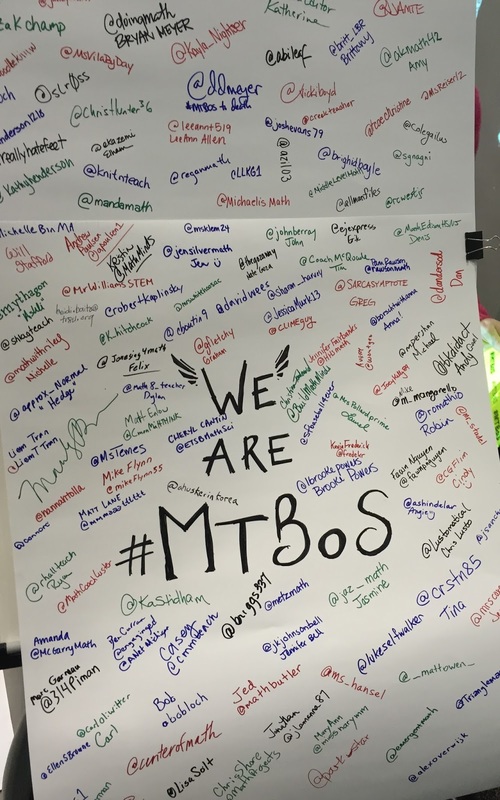 "I’m not asking us to retire the #MTBoS (unabbreviated: the Math Twitterblogosphere) the collection of people, ideas, and relationships that has provided the most satisfying professional development and community of my life. 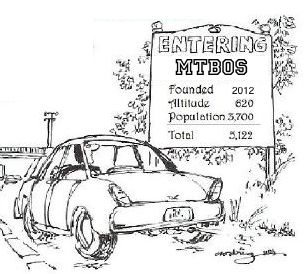 I’m asking us to stop referring to it as “the MTBoS” and to stop using the hashtag “#MTBoS” in online conversations. That’s because this community is only as good as the people we invite into it. 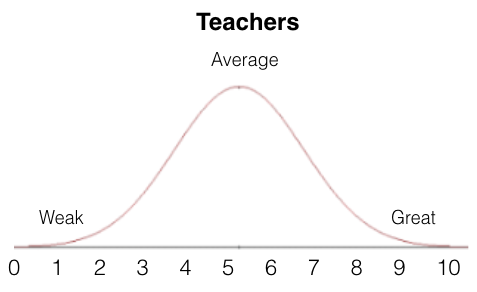 We currently represent only the tiniest fraction of the math teachers in the world, which means we (and I’d like to believe they also) are missing out. I'm a little confused. 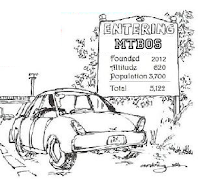 :-) I agree with Dan that MTBoS is a little off-putting and another, better name would improve things. 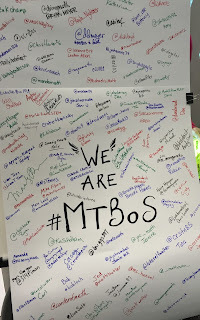 But not #iteachmath which is too general and misses the point of MTBoS which is a group of math educators that tweet and/or blog and those folks need to continue to share their empowerment in using those tools. I’ve been spending some time looking at Youtube videos about math education and education in general and came up with two interesting ones with contrasting points of view. First there is “This Will Revolutionize Education” (7:06/1,558,501 views) where the speaker's main conclusion is: "For as transformative as technology seems to be (…) what really matters is what happens inside the learner's head and making a learner think seems best achieved in a social environment with other learners and a caring teacher.” Sounds familiar, doesn’t it? Not terribly earth shattering. Hard to disagree with that one. But a revolution? I don’t think so. We have had great teachers for ever. (You can find out what it takes to be one with a simple google search.) In other words, the speaker in the video still believes that this low tech approach will spurn a revolution. Unfortunately the great teachers live on the high end of the bell curve and in all of the years of school reform movements the bell curve hasn’t shifted all that much so I have little confidence that just focusing on improving teachers will make the revolution happen any time soon. available for 1-1 tutoring is not humanly possible, too expensive and not as gifted a teacher as Aristotle was. The Internet has opened up the possibility for great learning. But this doesn’t mean teaching the same old curriculum with shiny new things. Also having personal tutors like Salman Khan available doesn’t guarantee effective personalized learning. What Grey does envision is adaptive technology that will personalize learning in a way that will motivate, inspire and empower students to learn things they are interested in. 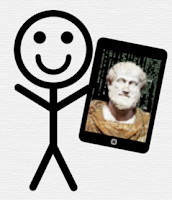 His vision of a digital Aristotle for everyone will tutor students individually and adapt appropriately over time to produce the most effective resources for each individual student to determine scientifically what works best. He uses Khan Academy as an example of where we are now, but in the future the software will result in a more personalized and effective learning modality that is better than what the average teacher can do with students today. Being the president of a technology oriented organization you might suspect that I would lean towards Grey’s vision and less towards the human revolution promoted by the previous video. But I’m inspired by both visions. The problem is that we pundits take sides and that doesn’t help in creating a future for our students and teachers that is better than what we have now. What we need is a future where students are pursuing learning things that they are interested in in a deep way. And the teachers job is to guide their students to achieve not only their goals, but also their dreams. I just signed up for this conference in Baltimore that’s taking place in a couple of weeks. I’ll have our New Vision to do list in hand which will give the other participants a good handle on what CLIME is all about. I’ll be sharing what happens while I'm there and in a blog post when I get back. Anything else I should bring up while I'm there? Thank you for registering for the 2017 NCTM Affiliate Leaders Conference, to be held in Baltimore, Maryland, July 22-24, 2017. We are truly looking forward to working with you during our time together! 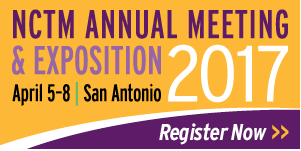 Both you and your Affiliate will benefit as we focus on this year’s theme, “Intent to Impact: Addressing Access, Equity, and Advocacy in your Affiliate.” In addition to building leadership capacity, the conference will include opportunities to exchange ideas and connect with the NCTM President, Matt Larson. You will be able to network with other Affiliate leaders in a variety of activities, develop Affiliate action plans, and learn more about being a partner with NCTM. 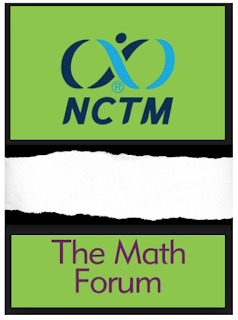 NCTM Affiliates across the country are faced with challenging issues related to mathematics education. Come together with other Affiliate leaders to consider the most urgent work in your setting through the lenses of Access, Equity, and Advocacy. Learn about tools and frameworks to support your work, and walk away with a specific, supported action plan to address your Affiliate-specific issues. This summer’s conference will launch a collaborative, ongoing learning model to enact your action plan during the 2017-18 school year. Discuss, collaborate, and network with other Affiliate leaders. Free wireless internet will be available in the meeting room. Participants are encouraged to bring a laptop or tablet. The sketch on the left shares a radical idea. Something right out of A. S. Neil’s Summerhill. Not very likely in our current reality of testing and grading. But someday maybe a boat like this can float in many bodies of water. I’ve been listening to David Bodanis’s book Einstein’s Greatest Mistake and was pleasantly surprised that Bodanis told the story of Flatland where 2 dimensional figures such as circles, squares and lines are the inhabitants that could never imagine a 3 dimensional world. Einstein’s genius was recognizing a new dimension that goes beyond the 3 dimensional world we inhabit. He was after a unified theory of the universe when he realized along the way that the universe’s structure could be curved. This realization eventually led to his ground breaking general theory of relativity. It made me think about a statement made about the latest iteration of the NCTM standards Principles to Actions (PTA) which followed the 2000 Principles and Standards and the 1989 Curriculum and Evaluation Standards for School Mathematics. 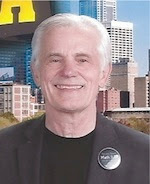 PTA was almost as good as you can get claims the current president of NCTM and will survive the test of time. 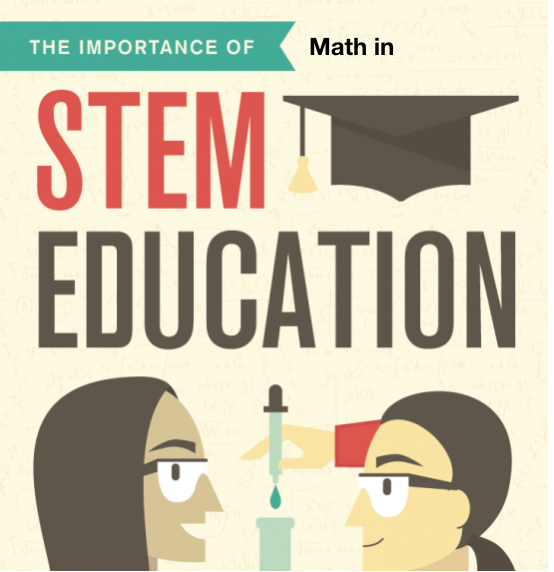 Each iteration of the standards has taken a new dimensional look at mathematics education and suggested what teaching and learning math should be. But is there a "dimension" that’s missing? I challenge the following statement in thinking about a new paradigm: "Good teaching is a prerequisite for good learning in schools." When motivated, students try their hardest, reach out for help, and receive supportive help from teachers. This happens best in student-centered learning environments. 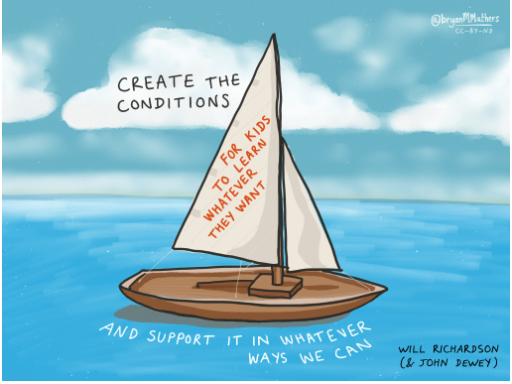 Here’s my list of criteria for student-centered, personalized learning environments. 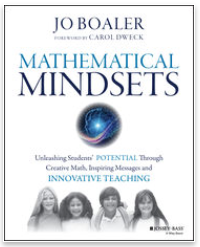 Math is learned best in a community of learners where students are engaged in authentic activities that illuminate important powerful ideas (intellectual tools) in math. The environment can be, for example a school, which is a hub for personalized learning. The curriculum is a project based design for a creative, student driven learning path. The community is constantly evolving with teachers, students, administrators and parents acting as change agents. Choice and voice for student agency are prized. Commitment to ongoing professional development for teachers so they can be the best coaches/guides for their students. School time is flexible designed for anytime/everywhere learning. Students learn best when they are interested in the topic being investigated. 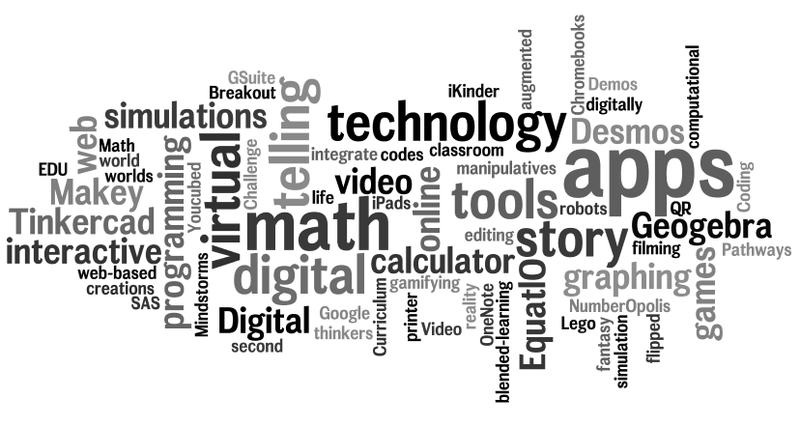 Technology is a tool that is a platform for personal learning. These ideas are not new. John Dewey, Jean Piaget and Seymour Papert wrote extensively about how kids learn and what we can do to empower them. So that begs this question: What can we do today in our classrooms to make motivated learning happen? Will the High School Math Experience for Students Become Better Any Time Soon? For perhaps the first time in our history there is clear and growing consensus concerning what constitutes effective mathematics instruction, kindergarten through college. And the next time someone says to you that some practice “isn’t what students will do in college,” make sure you share with them the evidence that postsecondary mathematics instruction is beginning to change in ways that are consistent with long-standing recommendations at the K–12 level. As K–12 teachers of mathematics, we certainly don’t want to prepare our students for a past that is in the process of changing and will increasingly no longer exist. Provide narrative descriptions of course exemplars, including their big ideas, that could populate the pathways. This is promising news because CLIME has usually found that the worst part of the high school experience for students is boredom. Also, I hope to see more attention paid to student interests and differentiated paths. The high school experience can be an exciting time for students. Hopefully, the work of the task force will help to achieve a more positive experience for students.